When Eddie took a huge bite out of Marc’s sandwich we were stunned. We knew what had happened, Eddie knew what had happened, but none of us ever said a word about what happened. I can’t say that it changed my opinion of Eddie because it was already pretty low to begin with. One night Marc and I were closing. Eddie was closing too. At this time I was pulling triple duty. I was likely to be found working on the sales floor, on the register, or in the stock/maintenance department. I must have been doing register that evening since Eddie was doing the end of the night cleanup. At that time I had a little bit of a reputation (then deserved, but soon to be lost and forgotten) as a prankster and of course I lived up to it with Eddie. It was the end of the night and Eddie was mopping the floor in the back of the store, the area around the break room and stockroom. 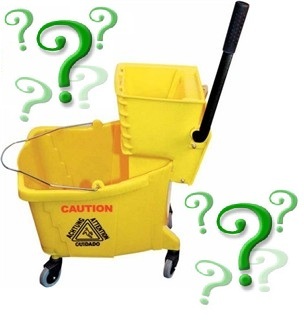 He had filled up a large yellow mop bucket and wringer with soapy water and left it right in the middle of the floor. Remember the break room from yesterday? These things were right in front of it. Eddie had left the mop and bucket right in front of the break room and walked around the corner to get something from the maintenance area. In a flash I decided (and I believe Marc was there too) to play a quick joke on him. While Eddie was gone I hid the mop and the bucket. 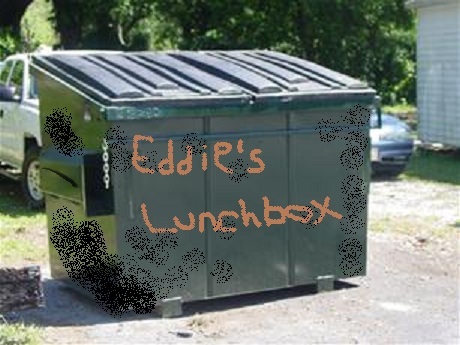 I knew that Eddie would only be gone a few seconds and my choices of where to hide the stuff were very, very limited. 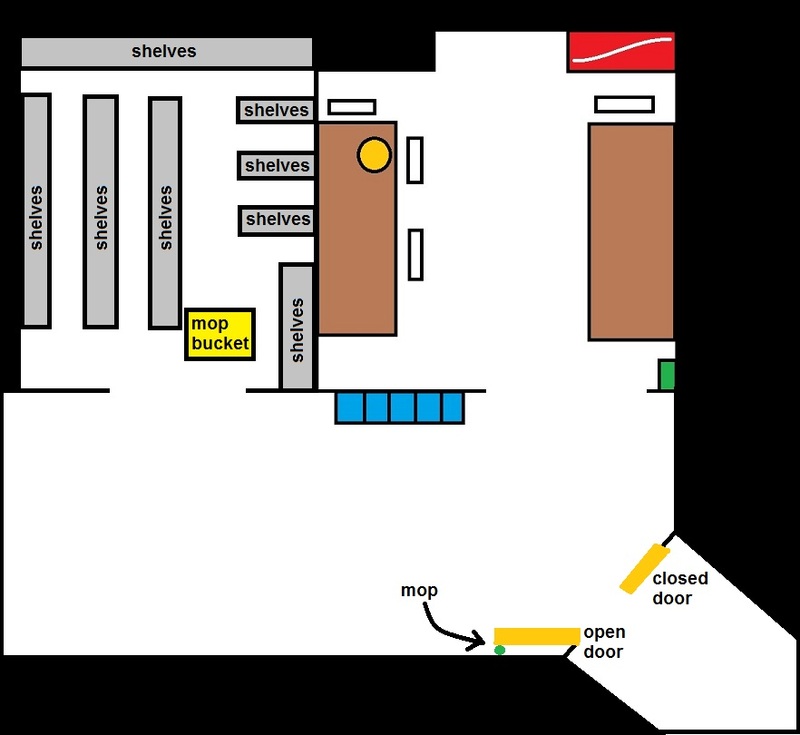 I ended up sticking the mop behind an open door and the very large, very yellow bucket and wringer just inside the entrance to a small stockroom next to the break room. The mop was still fairly visible. The door had a very large hinge (this was an industrial door) so the mop could very plainly be seen in the gap between the door and the wall. The mop bucket was just a foot or so inside the stockroom and very nearly in obvious, plain sight. It was the best I could do in just a few short seconds and should have kept Eddie searching for no more than a minute. Eddie came back and walked to the spot where he left the mop and bucket and stood there, looking confused. He then walked around in a circle, like a dog would, and finally asked me (I was still in the break room, waiting for this show) what happened to the mop. I told him that I didn’t know. I asked him where he left it. He said he left it right there. “Huh,” I said. “Maybe someone moved it.” I really didn’t have much of a straight face. I was already having fun. Eddie started prowling the back area looking for the mop and bucket. He must have passed the bucket a dozen times and never glanced over. If he had merely turned his head when he walked past the stockroom he would have seen it. 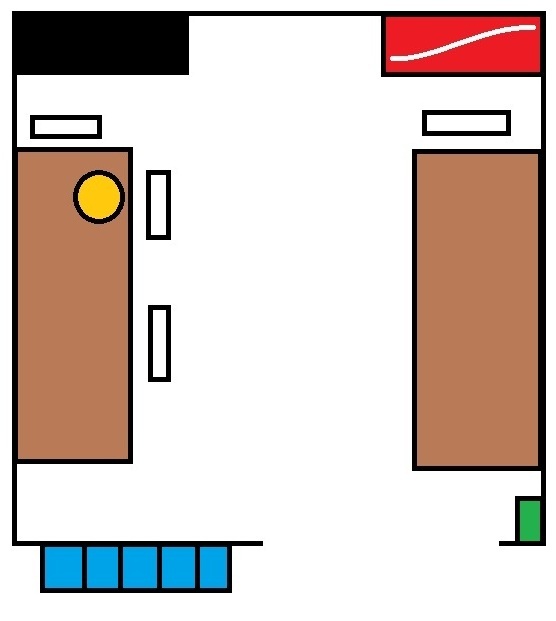 It was right in the doorway! Eddie was making confused grunting sounds and had the dopiest look on his face as he looked in the most ridiculous places, like in the garbage can, for the cleaning supplies. I have no idea how I could possibly have hidden the mop in a garbage can half its height but he looked anyway. I started to be unable to control my laughter. I was hiding my huge grin behind my hands, covering up my laughter with pretend coughs, and trying not to burst out into guffaws. What should have been a small joke with a small payoff was becoming an epic as the minutes dragged on and on and Eddie, lost in his confused little foggy world, walked past the pathetic hiding places over and over and over, never seeing the bucket and mop which were hidden in almost plain sight. In fact, from where I was standing, the mop was plainly visible. It had shifted a little behind the door and the handle was just peeking out an inch or so from behind the door. This dragged out longer than I ever thought it would, far longer than it should have, and I was almost in pain from stifling my laughter. Eddie, tired of walking in circles and looking in the same two or three places, went to find the manager. I can only imagine that conversation, Eddie telling Carolyn that the mop disappeared into thin air. I briefly thought of putting the supplies back where Eddie left them, right in the middle of the floor, but I nixed that since it would probably have incriminated me. Carolyn looked at me, still in the break room and with the worst straight face anyone has ever had, and asked me if I hid the mop. “No,” (snicker, snort) “I didn’t touch it” (guffaw). I said no but the smile on my face, the laughter in my voice, and the convulsions of hysteria I was almost but not quite keeping under control all said yes. I don’t think she believed me, but neither was she ready to call me liar. Carolyn: “Eddie, did you look over at the- here it is!” She had done just what I thought Eddie would have done, spotted the bucket within seconds. It was right in the doorway not five feet from them! Eddie: “I looked in there!” No, he had not. Carolyn asked me if I put it there and I again badly lied that I had not. Meanwhile, they still did not find the mop. Carolyn didn’t see it because she had her back to it, but from my position the mop was plainly visible, having almost fallen out from behind the door (which provided scant cover to begin with.) If I didn’t “find it” before she did she would know that I was lying because I plainly had to see it from where I stood. Carolyn was just disgusted by everything and all of us, told us to get back to work, and spared me one last “I know it was you look” before she left. Then I released all the pent up energy and spent the next five or ten minutes out of control with fits of hysterical laughter.